Top global plane makers land at the Farnborough airshow in England next week, hoping to pick up speed on demand for passenger jets while charting a path through Brexit and trade war turbulence. 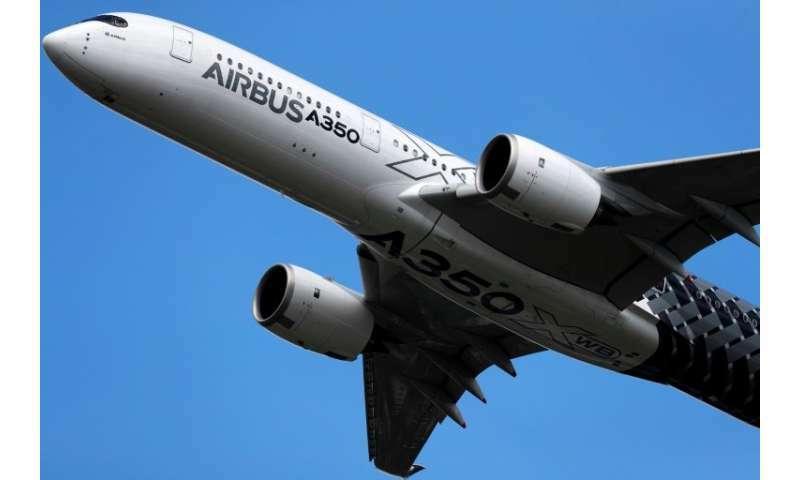 This year's sector showpiece event, opening Monday, will be buzzing on the back of rapid changes in the industry, as US titan Boeing and European arch rival Airbus vie for superiority in the skies. Chicago-headquartered Boeing could signal plans for its new midsize airplane (NMA), but reports suggest this could be derailed by the festering global trade war spearheaded by US President Donald Trump. Boeing recently took control of the commercial business of Brazil's Embraer, while Toulouse-based Airbus bought a majority stake in Canadian peer Bombardier's C Series airliner programme. The pair will continue their head-to-head dogfight at the biennial Farnborough event locked in a battle for lucrative multi-billion-dollar jet orders. Farnborough, southwest of London, is one of the world's largest civilian and defence airshows, along with Paris and Dubai. 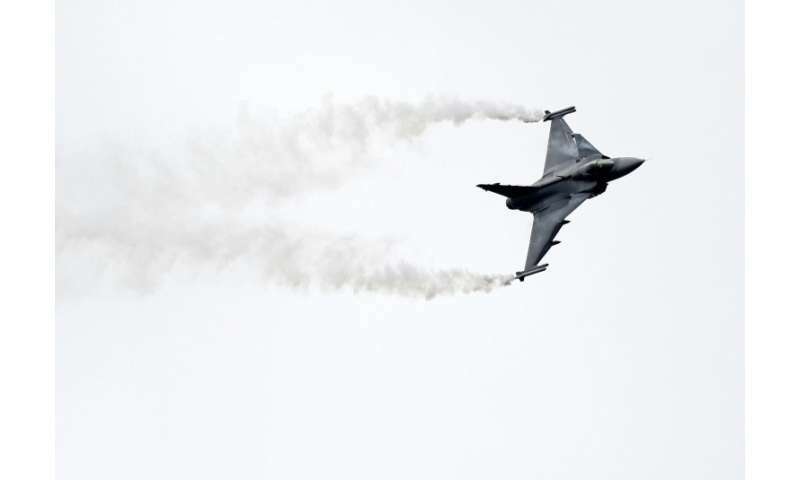 Visitors from almost 100 countries will flock to the event, which features air displays by civil and defence jets. London to NY in an hour? "It's our biggest international show ever," said Gareth Rogers, chief executive of Farnborough International, adding that Chinese participation alone was up 70 percent from 2016. "Everybody is coming to the show," he added, noting that industry leaders, politicians and government officials would also be attending. One key talking point will be the NMA single-aisle commercial jets for long-haul journeys, a sweet spot for plane makers. Rising demand for various types of passenger planes from emerging economies and the soaring success of no-frills airlines will raise the market's need over the next two decades, Airbus has forecast. The plane maker expects almost 37,400 new aircraft, worth $5.8 trillion, will be required to meet global demand over the next 20 years. That was hiked from its 2017 forecast of 35,000 new jets. Airbus has however experienced delivery problems with its new fuel-efficient A320neo jets, and has also faced challenges with the A380 superjumbo—the world's largest civilian airliner—and its over-budget military transporter A400M. Boeing, fresh from striking a deal with Embraer, will issue its global demand outlook on Tuesday. This year's airshow has been billed by organisers as "the return of supersonic", with several companies seeking to flesh out their tentative plans for the first supersonic passenger aircraft since Concorde took its final flight in 2003. US company Boom Supersonic will make its debut presence at Farnborough and hopes to make its new-generation jets in the mid-2020s or later, with the aim of slashing journey times in half. Boeing could meanwhile reveal more details for its "hypersonic" jet concept that could be capable of reaching Mach 5 speed or higher, potentially flying between New York and London in one hour. Farnborough is taking place in the shadow of Britain's stalled negotiations to exit the European Union. Organisers warn that aircraft could stop flying if British Prime Minister Theresa May fails to clinch an adequate Brexit deal with Brussels. Britain remains on course to leave the European Union on March 29 next year. "Our worst case scenario is genuinely—and it is not alarmist or scare mongering—that aircraft will not fly," said Farnborough International chairman Paul Everitt, who is also head of aerospace, defence and space trade body ADS. "Aircraft will not fly because on... March 30, I am sitting at an airport anywhere in the world, and they have got a piece of paper saying that this is not a certified European product. This bit comes from the UK. And this bit isn't certified. So the plane does not fly." He added that EU's European Aviation Safety Agency and Britain's Civil Aviation Authority regulators needed to meet and address the matter. Airbus, which employs some 15,000 people in Britain, has warned it would reconsider investments if Britain crashed out with no deal.